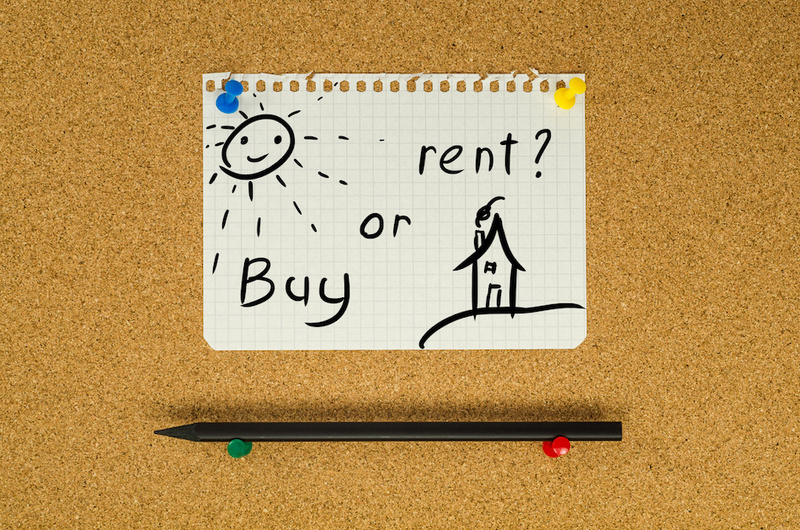 Is Renting or Buying a Home the Better Choice? Some renters are building up a nest egg in order to make a down payment to buy their first home. On the other hand, there are homeowners looking to downsize and reduce their maintenance obligations by renting. According to one study, more than a third of families rent their home. There are pros and cons to either situation, in addition to unique challenges that apply to renters and to homeowners. Learn more about important considerations when it comes to choosing whether to rent or buy a home. In order to get buy a home and get approved for a home mortgage, traditional lenders may prefer to work with those that can come up with a 20 percent down payment. Applicants that can do so often get better terms and may not need to pay for mortgage insurance on their loan. This will help them to pay down their mortgage loan faster. However, those looking to buy need to account for additional costs, such as lawyer fees, closing costs and those expenses associated with moving. The costs associated with buying a home may put off many who want to own their own property. There are additional options, such as a USDA loan or VA loan, which may make it easier for renters to buy their first home. It may be preferable to rent until one is in the position to make a large down payment or to address other factors which may make it difficult to buy a home. Lenders want to know about an applicant's credit score and credit history. Those who have low credit scores, have had recent issues with making timely payments, or do not have a consistent job history may want to rent while making improvements to these factors. Grab a free credit report and address inaccuracies while paying down debt and improving credit. This can make it easier to get approved for a mortgage loan when the time is right. Those who are working full-time or going to school and have little spare time may appreciate the ease of renting. Individuals with mobility issues may find renting less stressful for them as landlords are often responsible for major repairs. People who have only rented before may be surprised at the amount of work involved in maintaining a home. From routine maintenance, to leaking roofs and busted pipes, homeowners have to take action to keep a home looking and functioning well. Avoiding or putting off major problems can potentially reduce the home's value. This means that responsible homeowners need to create a budget for such tasks and choose a reputable contractor or professional. Renters do not have to dig into their own pockets as these concerns are often quickly addressed by the landlord. Those who rent can be at an advantage as there are fewer maintenance expenses as a tenant. However, they often have little say when it comes to repairs, contractors and more. Contending with maintenance and home repairs are responsibilities worth thinking over when deciding on renting or buying a home. There are good reasons to rent or buy. However, specific factors may influence whether or not renting or buying a Treasure Island home is the best route to take. Prospective buyers may want to speak with a reputable agent to understand when it might be a good time to buy or to continue to rent, depending on market conditions.